Popera Cosmic - Les Esclaves. Vinyl LP. Bleep. 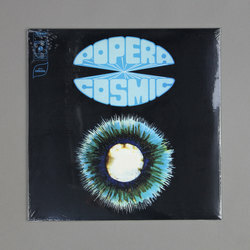 In the fifty years since Popera Cosmic originally released their seminal album ‘Les Esclaves’, the work has easily managed to obtain the cult status it deserves. Reissued now by the connoisseurs over at Finders Keepers Records ‘Les Esclaves’ emerged during France’s post-yé-yé movement and is regarded commonly as the earliest pioneer of the subsequent Gallic concept album. Led by François Wertheimer and Jodorowsky collaborator Guy Skornik, the collective’s work is based on an early concept formed by a young Jean Michel-Jarre.